08:45h: Daily from April to October - From November to March: Wednesday and Friday. Back in Madrid at 13:45h. 09:00h: Daily from April to October - From November to March: Wednesday and Friday. Back in Madrid at 17:00h. 15:00h: Daily from April to October - From November to March: Wednesday and Friday Back in Madrid at 20:00h. Departure from: Plaza de Oriente, 8. 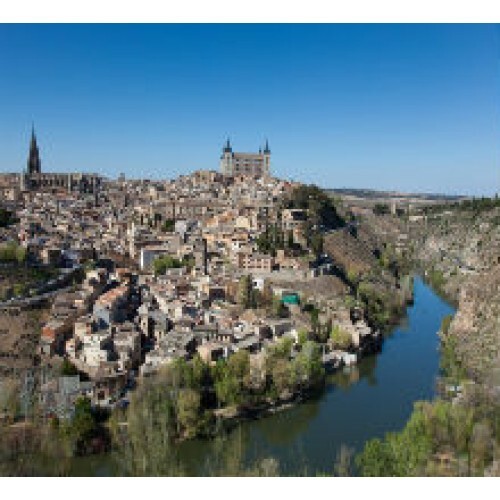 TOLEDO, city - a treasure house of great artistic beauty and former capital of the country. 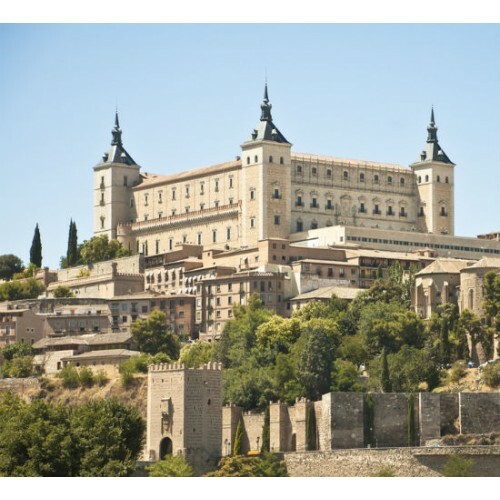 The city offers magnificient examples of architecture from different periods - Arab, Jewish and Catholic - making it one of Spain's most important historic cities and a UNESCO WORLD HERITAGE SITE. 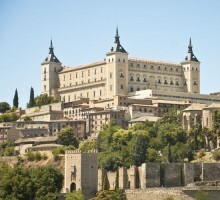 At arrival time off to discover all the secrets that keeps the majestic city of Toledo. During the time you spend in Toledo you can enjoy the Church of SANTO TOMÉ where is "The Burial of the Count of Orgaz", one of El Greco's masterpieces. At the time indicated by the guide the trip to Toledo, we will meet at the bridge of San Martin, to departure to contemplate the technique of the "Damasquinado" (incurstation of precious metals in the street). At the end we will return back to Madrid. IMPORTANT NOTE: Only will have Guide to get to Toledo, for bus routes. The tour concludes back at PLAZA DE ORIENTE. Pick up at hotel option only available for mornings tours. For afternoon tours, departure point is: WAMOS TERMINAL - Plaza oriente, 8. If you can't find your hotel, please let us now where you'll be staying, and we will get in touch with you to point out your nearest pick up point collection.